He's still so tiny — but they're already teaching him to hug too. 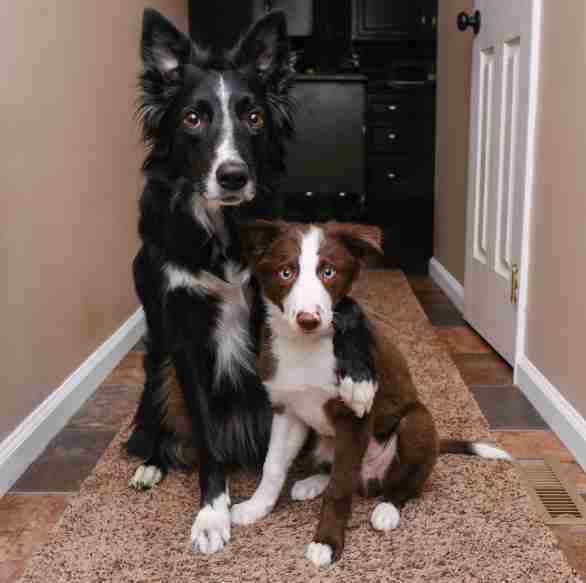 Envy and Zain are rescued border collie siblings who love being photographed by their mom. 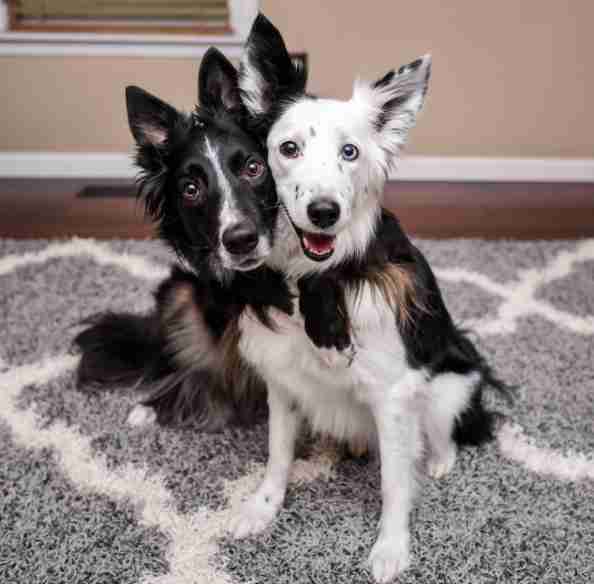 She turned her own Instagram account into theirs, and it seemed like just a regular, adorable dog account - until they learned to hug each other. 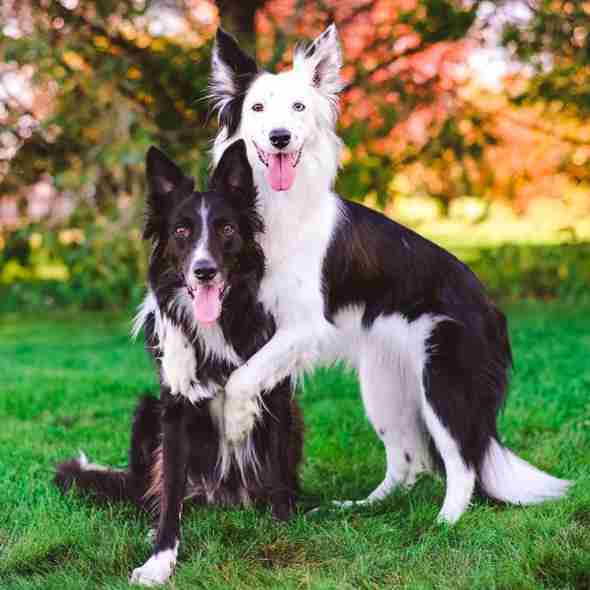 After teaching her dogs the command "stay" and realizing how good they were at it, Kelly Bove began photographing them a ton and posting the photos on Instagram for the whole world to see. Both Zain and Envy are incredibly photogenic, and after mastering posing together, their mom started teaching them to hug while posing, too. "With hugging, I actually taught Zain to hug other objects (a tree!) first before asking him to hug Envy," Bove told The Dodo. "Once he was solid and knew what 'hug' meant, he had no problem hugging Envy." 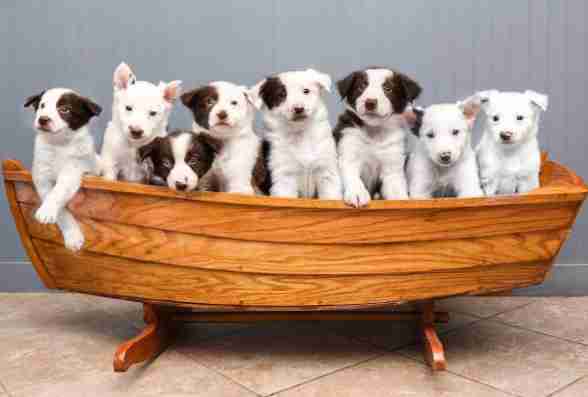 ... and it's probably the cutest thing on the internet. 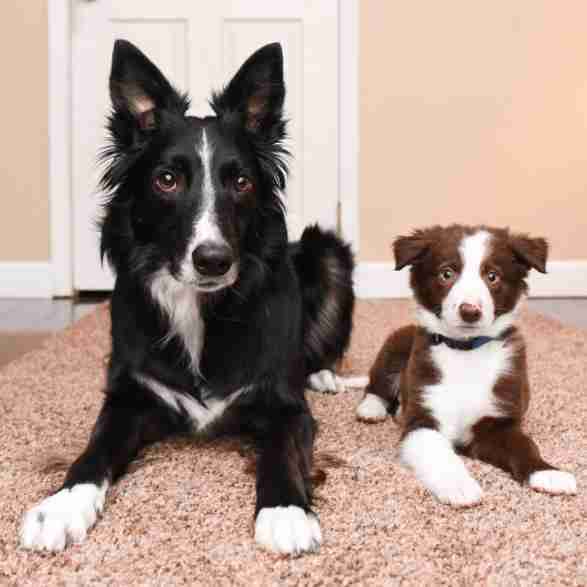 For the past few months, Bove and her husband had been contemplating adopting a puppy into their family, but were hoping for another border collie like Zain and Envy. 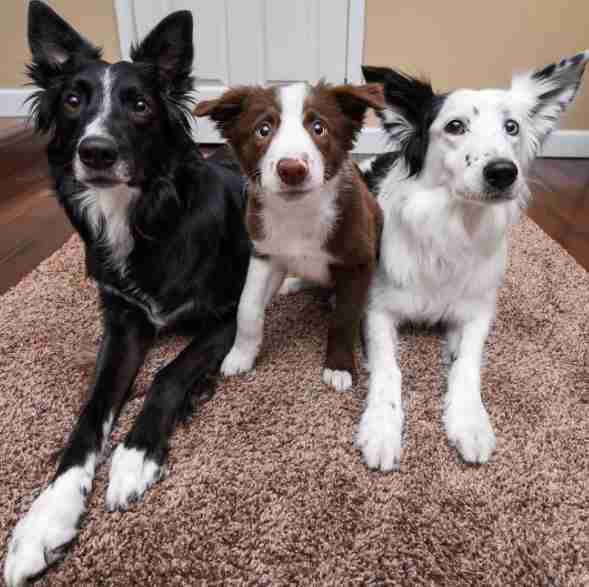 They waited a while to see if any border collie puppies were in need of rescuing - and then they met Trek. "Trek's mom was surrendered two weeks before giving birth in November," Bove said. 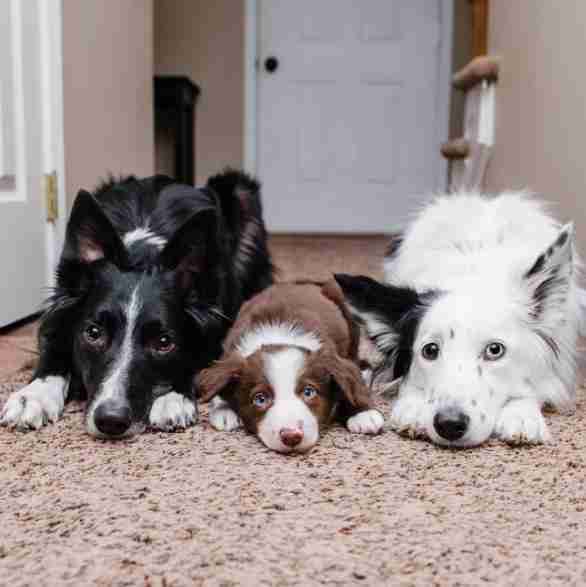 "I was able to follow along with the litter as they grew up, driving four hours to meet them at 3.5 weeks old and 6.5 weeks old, before bringing Trek home at 8 weeks." 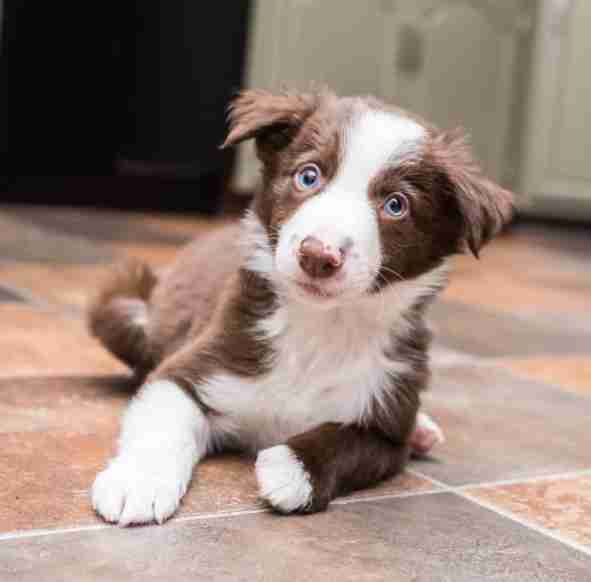 Trek is a tiny, fluffy ball of pure energy, and his new siblings loved him immediately. They took him under their wing, and so far he's been the perfect third addition to an already perfect little family. "Envy LOVES to play with him so much," Bove said. 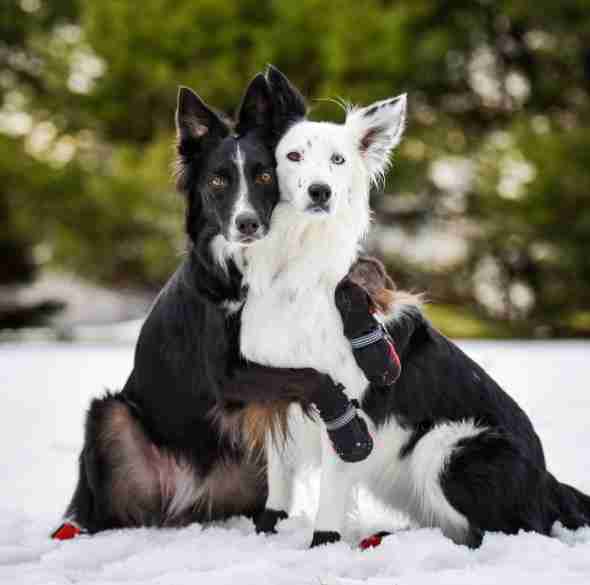 "Zain also gets along great with him - he is the most tolerant dog I've ever met with him." Trek, of course, immediately started making appearances on the family Instagram, but wasn't exactly the biggest fan of posing in the beginning. Now that he's a little bigger and is shedding some of that puppy energy, though, he's quickly becoming Instagram's newest star. 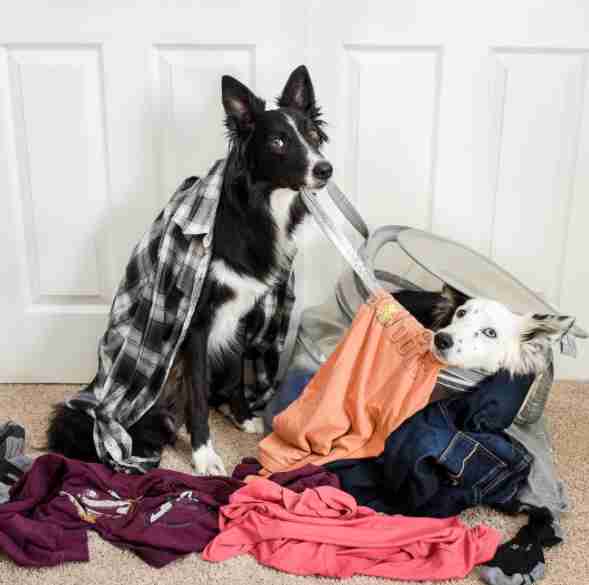 "Trek is always on the move, so photo time was interesting up until a few weeks ago when I finally taught him how to stay," Bove said. "But now that he knows how to stay, he is turning into a pro when it comes to modeling for the camera." 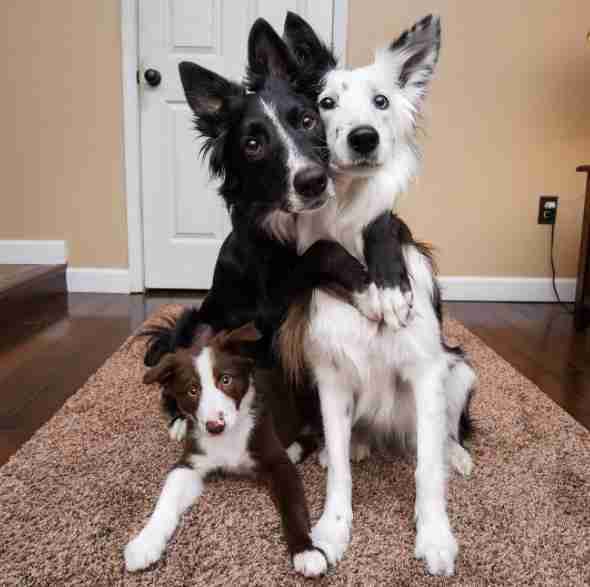 Now Trek has totally picked up on the family tradition and loves to pose with Zain and Envy, and looks absolutely adorable nestled in between them. ... but that doesn't mean his older siblings can't hug him until he learns how. Envy and Zain are clearly the best big sister and brother to Trek, and will teach him all their adorable ways as he grows up.